Welcome to Paper Shredder Pros! Firstly, thank you for visiting our site. Here you will hopefully find answers, to every question you could possible think of about paper shredders. We pride ourselves on giving you accurate and helpful information, whether you’re buying a paper shredder or looking to maintain an existing one, we have you covered! You may be wondering ‘why did they create a site all about paper shredders and paper shredding?’ Well, the story is simple. A while ago, I decided to clear out my home office and have a massive declutter. The problem was, that I had a lot of paper that contained sensitive information like bank account numbers and social insurance numbers, so I decided to look for a paper shredder. When searching around, I couldn’t really find a huge amount of information. I wasn’t sure what I needed and what was a realistic price point for my needs. The first shredder I bought was a very cheap ProAction model from Argos; it was terrible! It couldn’t cut many sheets at a time and needed to cool down constantly (that’s where the paper shredder will automatically shut off and won’t turn back on until the motor has cooled sufficiently). Sbsequently, I would only recommend a ProAction shredder if you only need to shred a minimal amount of paper. This proved to be the perfect buy for me! Not only did the shredder carve through all of my papers, it didn’t cost me the earth either! 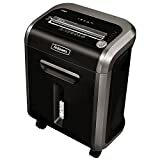 Anyway, it was the experience of trying to find the best paper shredder for my needs that inspired me to create this site – PaperShredderPros. I hope to make the process of finding your perfect shredder a lot easier than it was for me. Here you will find reviews, articles, buying guides and practically everything you can think of to do with paper shredders. Although this site relies on funding from affiliate links, you can rest assured that the reviews we provide are completely impartial and honest. In other words, if we don’t like a product, we’ll tell you! Of course, if you have anything you’d like to add to any of the reviews, you can always add your own feedback in the comments section.